Oklahoma courts will consider requests for alimony as part of a divorce. By law, judges can award alimony on either a permanent or a temporary basis. The award can be in the form of a lump sum, or it might be paid out periodically for an indeterminate period. Temporary awards can be used to support a spouse while the divorce is pending. Further, if a spouse is not able to support herself after the divorce, a court may order a temporary award until she increases her earning capacity. This is referred to as rehabilitative alimony, and the award would then typically terminate upon graduation, or after employment is secured. In determining both the amount and duration of any alimony award, the court will look at the needs and ability to pay of both parties. Need might be affected by the age of a spouse, or any limits on her ability to work, for example due to illness or disability. A judge may also take into account the length of the marriage and both monetary and non-monetary contributions to the marriage by either spouse. This might include one spouse's contribution to the marriage as a homemaker, while the other spouse earned income through employment. However, a court may not consider marital misconduct, such as adultery, in determining an alimony award in Oklahoma. In addition to determining alimony, a court must consider the property you and your spouse acquired during the marriage regardless of how you hold title. This doesn't include gifts and inheritances made specifically to you, however. Oklahoma is an equitable distribution state, which means the court will award marital property according to the principles of fairness if you and your spouse can't reach agreement on your own. Fair doesn't necessarily mean equal, and equitable distribution considers both monetary and non-monetary factors. Further, judges have wide discretion in determining a fair division of all marital property, and may decide to award property in lieu of an alimony award or vice versa. Before alimony and property matters can be sorted out, you must first qualify for divorce in Oklahoma. 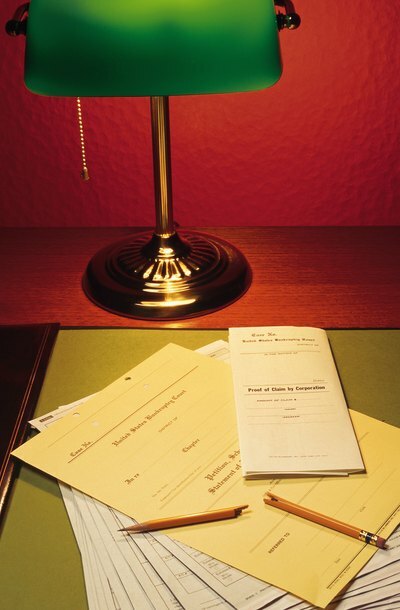 To obtain a divorce in the state, you or your spouse must have resided in Oklahoma for six months before filing. The action is started by filing a petition for dissolution of marriage with the district court in the county where you or your spouse lived for the preceding 30 days. Oklahoma recognizes both fault-based and no-fault divorce. Fault grounds include abandonment for at least a year, imprisonment for a felony, and adultery. A no-fault action may be brought based on incompatibility. Oklahoma also requires parties to wait 90 days after filing before a divorce will be granted if minor children are present. But, this requirement can be waived upon a showing of good cause, provided neither party objects.